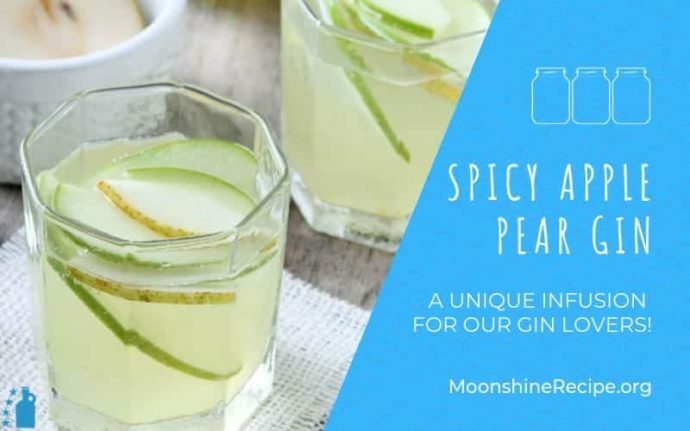 It’s more common to use straight moonshine or vodka for infusions, so you rarely see a gin in the mix. Quite understandable, since gin already comes with a hefty spicy punch of juniper packed into it. However, sometimes it’s possible to make it even more complex and layered, and this recipe is just that challenge! 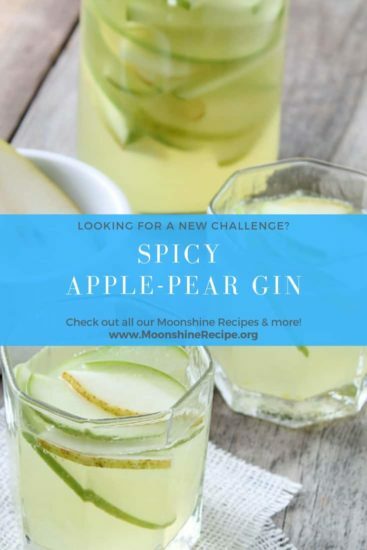 By complementing the refreshing tang of juniper with the fruity nuances of apples and pears, you get a drink that works great both as a winter warmer and a summer appetizer. If it survives that long, of course. A unique infusion for our gin lovers! Slice the apples and pears into cubes or slices and put them in the mixing vessel. Add cinnamon sticks then pour in the gin so it covers the ingredients completely. Cover the mixing vessel with a lid and put it in a cool and dark place. Let the mixture sit for at least two weeks, shaking the vessel briefly once a day. Taste the mixture periodically, and once the flavor is to your liking strain the liquid off the fruits into the storage vessel. We’d highly recommend distilling your own gin for this infusion to get maximum flavor. You can use dried fruits if fresh ones are hard to source, yet the flavor will be somewhat subdued. Do not use crushed cinnamon as it will affect the appearance and texture of the final drink. Serve warm during winter months or on ice in summer with cinnamon sticks for garnish. Are the apples and pears to be sliced or are they to be put in whole also when you say mix do you mean just put the apples and pears in together?